FIRST Team 501 in the Union Leader! 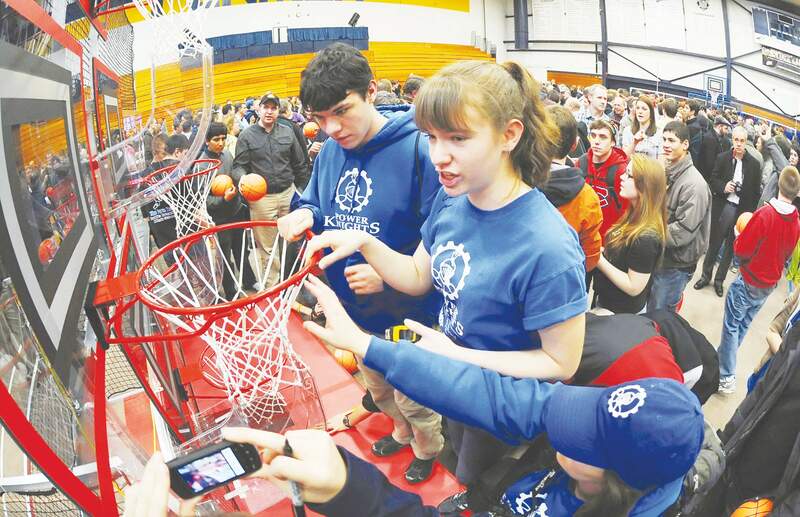 FIRST Team 501 made it into the New Hampshire News section of the Union Leader, for the 2012 FRC kickoff. Our group who was at Southern New Hampshire University (SNHU), which inculded a few mentors and four students. Their picture is of them looking at the goals for this year’s game Rebound Rumble. 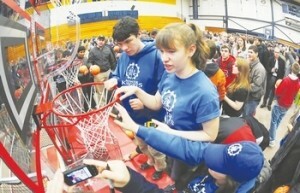 The picture is of Isaiah, Nicole, and Jen looking at one of the hoops, and how resistant it is and how much it bounces. Isaiah (West High Senior), Nicole (Goffstown High Junior), and Jen (mentor) examine the basket at Kickoff. January 7th, FIRST Team 501 met and watched the NASA’s broadcast of the unveiling of the 2012 game. 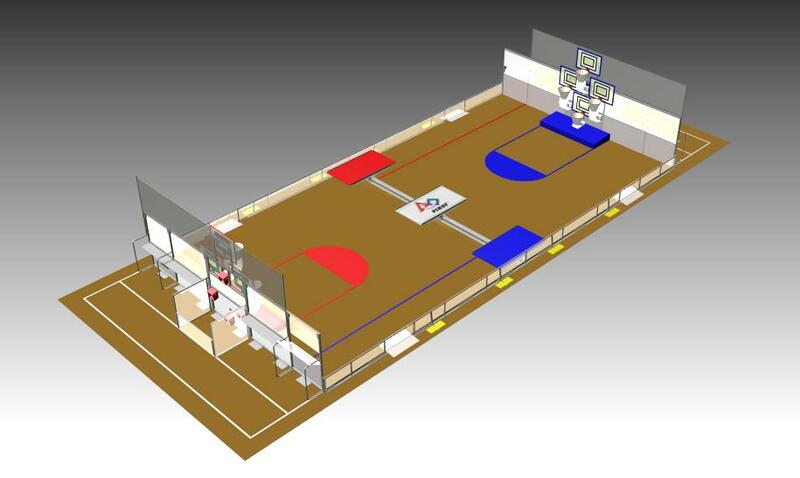 Rebound Rumble, this year’s game, is similar to basketball, and robots must score points by putting foam basketballs through hoops. Bonus points can be obtained by robots balancing on angled ramps. Many of us were excited to finally see this year’s game, and can’t wait to get started.